You’re supposed to spend at least part of your day at work doing actual work, but those rare times of productivity leave you vulnerable to surprise attacks from Nerf blaster-toting co-workers. Not if you build this robotic camera-equipped sentry turret to watch your back. This isn’t a cheap hack, mind you. 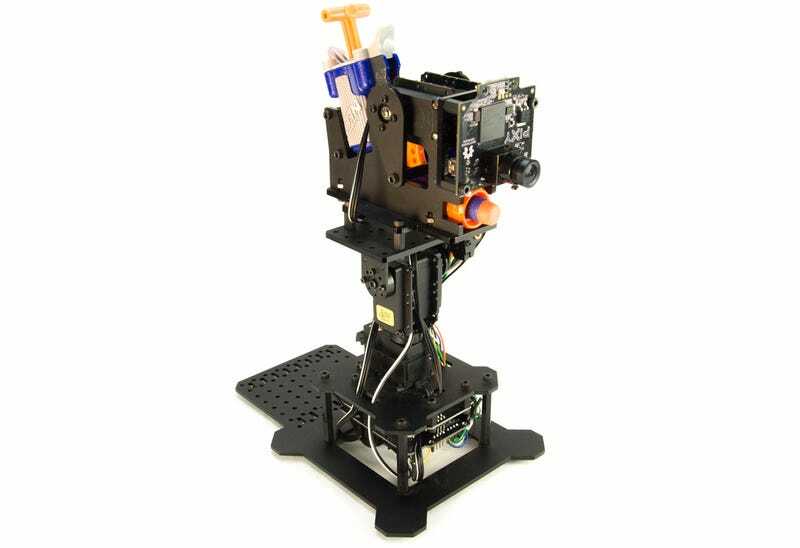 You’ll need to start with RobotGeek’s—the folks behind the sentry gun Instructable—desktop turret, which will run you $100/£69. There’s also the cost of the $85/£59 Pixy camera to factor in, a $40/£28automated foam dart blaster kit, and a few other miscellaneous components that tie it all together. When all is said and done and fully-functional, though, you’ll have yourself a remarkably agile and accurate sentry gun that can be programmed to only attack certain colours. So if your boss happens to come to work working a red t-shirt, you can quickly program the robot to ignore that colour to ensure it’s not your last day of work.